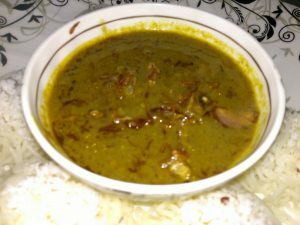 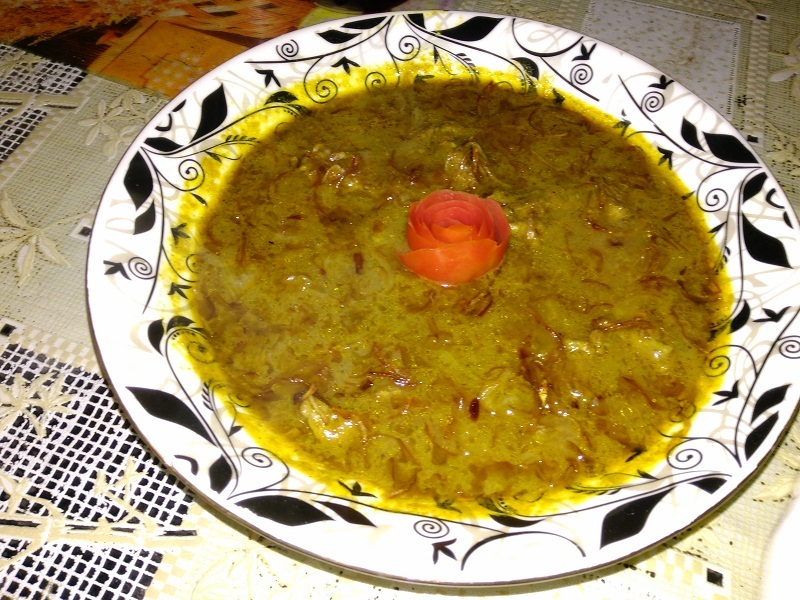 Hi friends today i am going to make a mutton dish.Mutton Hariyali.hara means green.Mutton cooked in a greenish gravy.This is a traditional mughal recipe.In this gravy am cooked in my own style. 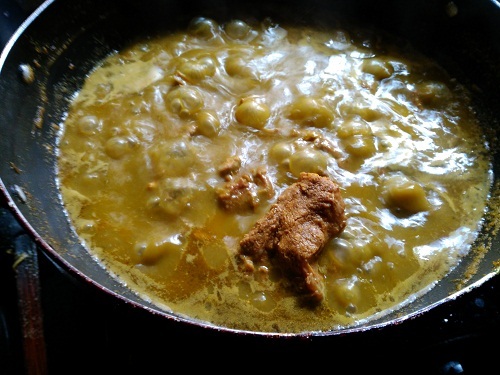 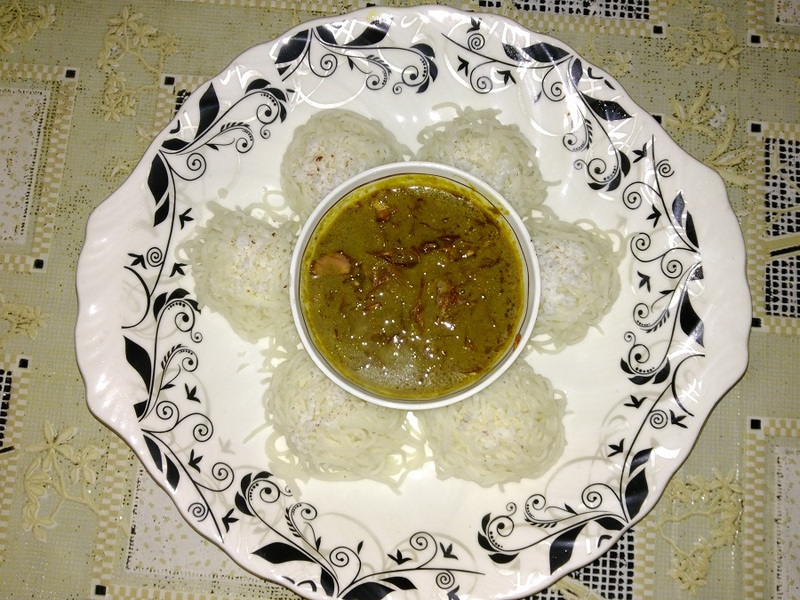 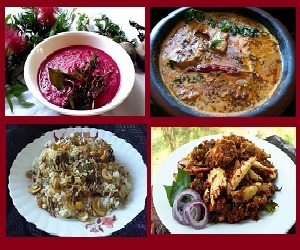 This curry well goes with idaiyappam,pathiri,bread etc. 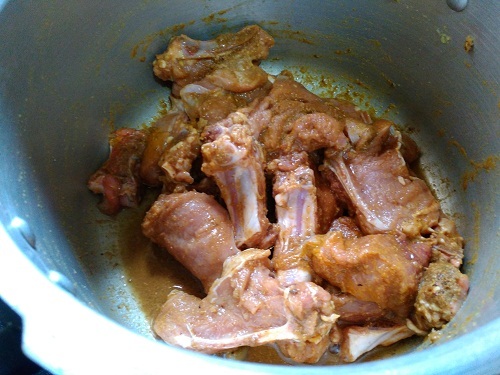 Then lets start how to make a mutton hariyali . 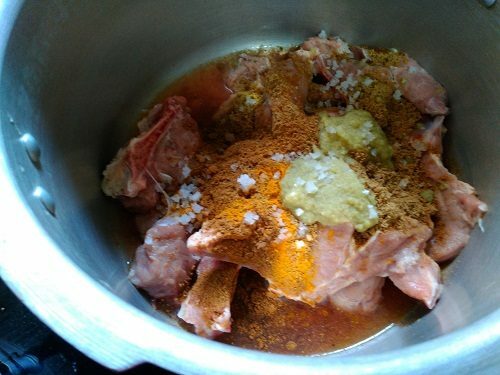 In a pressure cooker add cleaned mutton,coriander powder,turmeric powder, half of the ginger garlic paste and garam masala and enough salt.marinate for half an hour. 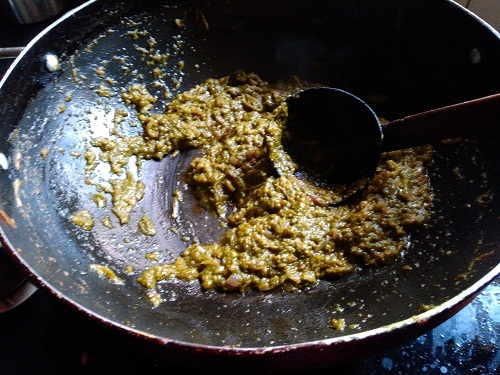 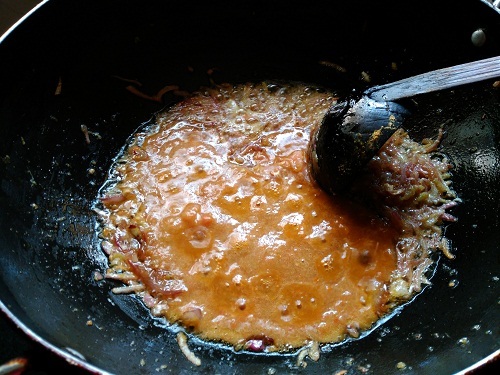 In a kadai add 3 tbspn oil.add half of the onion and fried in golden brown color.keep it aside.this is for garnishing.in the same oil add remaining onion sute well.then add the ramaining ginger garlic paste. 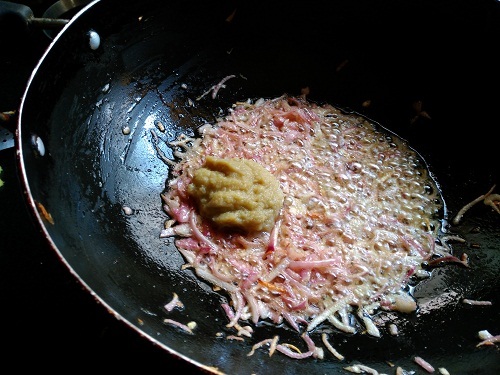 then add the pasted tomato.saute for few minutes. 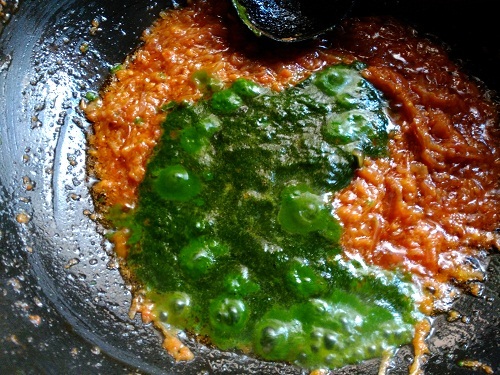 when the tomatoes raw smell goes add the paste of corinder leaves and green chilly. 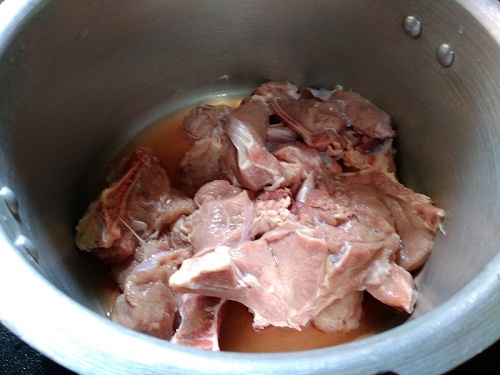 saute for a few minutes.then add cooked mutton with stock water.check the salt. 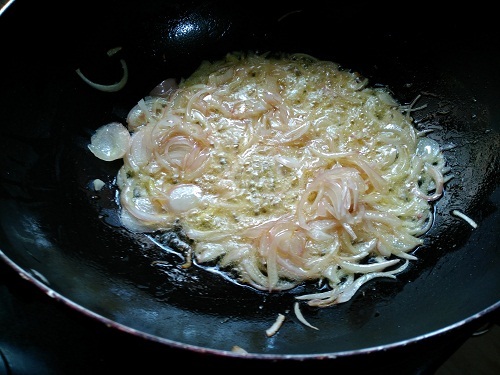 allow to boil when the gravy starts to thick.off the flame .now the curry is ready to serve.garnish with fried onions.